We don't usually think in terms of annual and perennial when it comes to vegetables, especially in cold regions of the North and Midwest. Many fruits, yes, but then we tend to think of more temperate if not tropical climates for growing fruit. You might be surprised at how many crops are perennial. A one time plant investment, one time planting and many years of production is a big money and time saver. Like most established perennials, they are more resistant to drought, pests and disease. You also don't disturb the soil to replant each year, allowing the soil food web to remain intact. Of course no perennial is perfect and neither are perennial fruits and vegetables. There are certain considerations to be aware of for specific perennial crops. Some needs and habits, as well as crop use, may not suit your needs and specific conditions. Raspberries - research the varieties carefully. Some can multiply rather quickly and will require at least a bit of thinning and pruning to keep them productive. Blueberries - sweet blueberries even in Northern Regions! Highly productive bushes require almost no attention. Strawberries - research the varieties carefully. Some will only produce a few years, some continually produce new plants and you will till under old ones. Strawberries can require a bit more attention than most produce, but, well, strawberries! What could be better? Grapes - Even grapes in zone 4! Great production for homemade jellies and compotes. Apples - of course, that's an easy choice. Many of the best apples are grown in the North and Midwest. Asparagus - a little up front investment is required for asparagus. Rich soil and weed free is important, then the plants require three years to mature and start producing. Rhubarb - once planted in rich soil rhubarb will produce abundantly with little or not attention. Horseradish - spice up sandwiches and sauces with this tangy root vegetable. Bunching Onions - These get confusing, because gardeners from different regions and countries are referring to different things. Some are referring to spring onion, some a bulb green onion, some the true perennial bunching, some are grown for edible white bulb onions, some for the chive like leaves. So, check with your local nursery or trusted mail order and find out what is perennial in your region. Jerusalem Artichoke - also known as sunchoke, is actually a perennial sunflower with edible tuberous roots. They are easy to grow and of course also produce beautiful sunflowers. Wild Leeks - also known as ramps, they usually grow wild but you can grow them too. 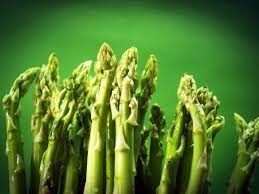 They produce briefly in spring to use fresh or in pickling. Scarlet Runner Beans - this perennial bean is amazingly beautiful as well as delicious. You need to understand how best to grow and harvest these. Chive - chive can be tenacious, it used to pop up all over my garden. I didn't really mind, but now I grow it in a container which keeps it in check but can freeze out in severe zone 3 and 4 winters. Mint - if you want to grow perennial mint you better love it. I easily grows and multiplies faster than you can probably keep up. Rosemary - Keep rosemary trimmed by snipping for cooking. If they plant gets too large to use young springs, just freeze whole snippings in a zip lock freezer bag. You will be glad come winter. Thyme - perennial thyme also freezes well for winter. Sage - shrubby perennial sage is great for seasoning meats. Dry it well and store airtight. Oregano - you might be able to grow oregano as a perennial to zone 5. Dry well and store airtight. Be sure to research the specifics of growing these perennials in your region. As always, they each have their zone and site condition preferences.